A man arrested in connection with his mother’s choking death lived in her apartment alongside her remains for nearly a week before he was discovered, Fairbanks police said Wednesday. Police said a friend found Molly Agnavigak Rosa dead in bed when he visited her Bridget Avenue apartment Tuesday after not hearing from her for about a week. The friend found that “the normally tidy residence had a strong odor and was very messy,” and discovered the 70-year-old dead in the back bedroom, police said. 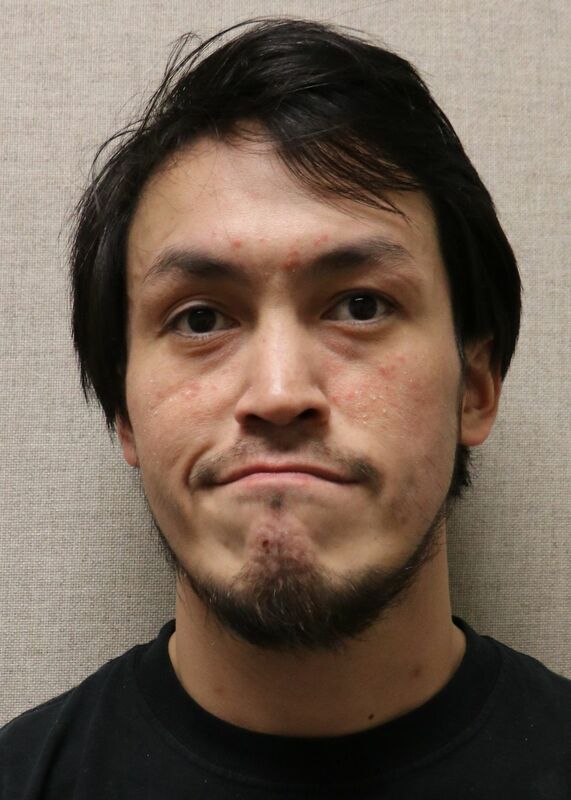 The man called 911 from a neighbor’s home around 10 p.m.
Officers found Molly Rosa’s son, 34-year-old George Tuukgaq Rosa, hiding in the bathroom when they responded to the 911 call. George Rosa was “behaving erratically and made initial statements indicating he had killed his mother," police said. George Rosa told investigators he choked his mother to death five or six days prior and continued living in the apartment with her until officers arrived, police said. He was remanded on Wednesday morning to the Fairbanks Correctional Center on a charge of first-degree murder. Court records show George Rosa was arrested in late December on misdemeanor charges of reckless endangerment, disorderly conduct and resisting arrest. His mother paid his $500 bond.